Doggy day care or pet sitting is always more fun when you’re with friends at Loving Care in Rutherfordton, NC. 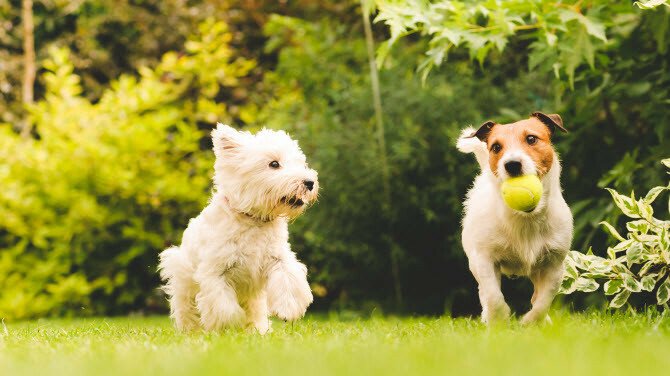 If you're looking for great way for your dog to interact while you're away, then dog day care is perfect. Loving Care Kennels and Grooming can keep your dog looking his or her best with our grooming services and provide playful interactions with other pet guests. Two of the great things about doggy day care is your pooch is never bored and they stay physically fit. So for those times when you can't be with your four-legged bestie, Loving Care in Rutherfordton is here to help with pet sitting needs. 3. What size they are (small/medium or large). There are two ways you may contact us. You can use the helpful form that's located on this page. Just make sure you putting your contact information, so we can reach you to discuss the latest dog sitting rates. You can also call us directly to learn more about watching your pet(s). Either method only takes a few moments of your time. So, just tell us about your companion who needs dog day care and we’ll be happy to provide you a quote.